Hannah Montana Love Mix. Games online. You are at our cocktail bar and the future of Hannah Montana is in your hands. 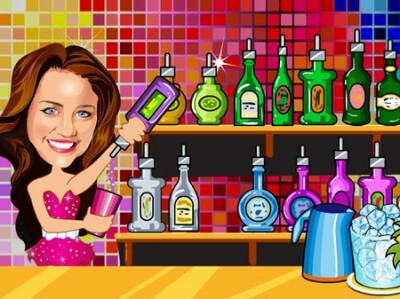 Help her prepare the best love mix but be careful not to turn the cocktail into poison and make the famous girl go crazy. Have fun.